Thank you for visiting. Please have a look around and familiarize yourself with my work. 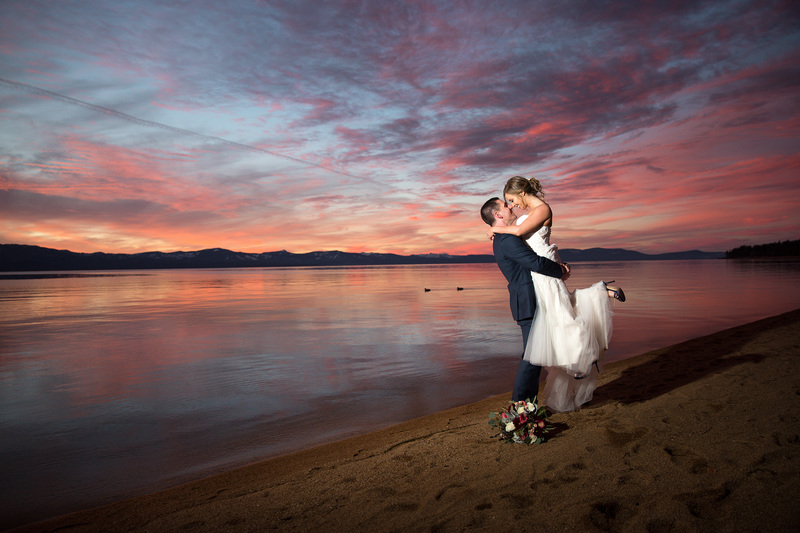 I'm pretty sure you love Lake Tahoe and so do I. I will make sure your story as well as the beauty of the lake is represented in a sensible way through colorful and real images. "Ok, so we have tried to narrow down your photos tonight from MANY to our FAVORITE FEW...and we just can't do it. Because every photo is absolutely perfect! 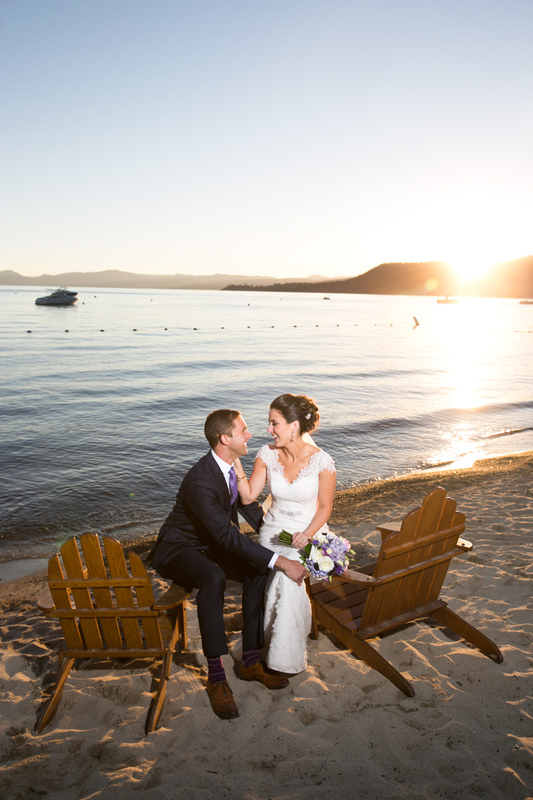 They each capture the fun, the laughter, the beauty of Tahoe - we love every single photo!!! Thank you for helping us re-live the best day of our lives. You are simply incredible at what you do, seriously. You have such a gift!!! Much love - and let's please get drinks soon! xoxoxo"
Just a note to let you know how happy Mickey and I are of the wedding photographs. I was worried about the weather...but it turned out just fine. You were so kind and witty. You made this a wonderful experience. The girls had a blast and it showed in the pics. Thank You & Best Wishes! Bobbie & Mickey Smith "
Weddings go by in a flash, and there is much that happens of which we are not always aware. We have totally enjoyed those moments since the wedding when we discover with delight what we missed. Your photographs are so truly wonderful and capturing. However, I had little doubt that you would be an artist, and we truly love the photographs. But I will share with you how much we enjoyed having you a part of the events. Always pleasant, always the professional and so very perceptive. Thank you for contributing to our daughter's day in perhaps the most important aspect of the day. We will literally be forever grateful! I continue to be obsessed with your pictures from our wedding! I can't stop looking at them.Thank you again for your great work. " Thank you so much for capturing our wedding for ever- your photos mean more to us than we can express in this note. They are beautiful, stunning and amazing- yet honest, real and very "us". Between the wedding and engagement photos we could not have asked for more. You captured us perfectly, yet made us and our day look even better than it was! We look forward to putting the albums and the fine art print together with you soon. Additionally, my parents are moving to Tahoe so we hope to work with you again for family photos in coming years.
" It is impossible to put into words how incredible they came out and how pleased we are. To say they are amazing doesn't give them justice, but man, what a hell of a job you did! I remember you telling me on the phone the day we booked you that you are more of a photojournalist, and boy, you are. You captured every moment, every emotion, and every part of that special day. You are incredible, and we cannot thank you enough! All great memories and good laughs, and you made it a fun and perfect day for all of us!" "I just went back through the pictures and just wanted to thank you so incredibly much for doing such a great job! So many great moments were captured and thank you for making it look light hearted and fun . You are an incredible artist and I am so lucky to have worked with you"
"I just wanted to take a moment to thank you. Thank you so much for being a part of the best day of my life. I can't wait to see the pictures you took and I just want to say it was an absolute pleasure working with you. Brian hates to have his picture taken but your total professionalism and direction made it an easy process. You were everywhere we wanted you to be. Every time I thought, "Oh I should get Cirprian to take a picture of this", I looked up and there you were. From our first meeting with you more than a year ago now, we knew you were the person we wanted at the wedding. Your easygoing attitude and authentic approach to photography made it an easy choice. I can't adequately thank you though an email but please accept my thanks nonetheless. The entire day was a flawless dream and I have no doubt your pictures will reflect nothing less. Thank you again from the bottom of my heart. Can't wait to see the pics!! "Steve and I received our engagement photos in the mail yesterday and we absolutely love them! Thank you so much for being flexible with our schedule and meeting us in Incline Village. You did an amazing job and have such a great talent for photography! We will never forget how plain that tree in Sand Harbor was, but how fantastic the way the lighting hit that made the photos stand out. The locations you brought us to had some of the most beautiful vistas we've ever seen, and will truly make our engagement photos and vacation in Lake Tahoe very special to us. We cannot wait to share them with our family and friends as we prepare for our wedding. It was a pleasure working with you and we wish you all the best. Thank you again for capturing these special moments for us. I want to thank you so much for the absolutely incredible photos of our wedding day at the Hyatt Lake Tahoe! I chose you as our wedding photographer for our special day from viewing your portfolio which captures the love and feeling in every photo you take. You truely have a special talent in what you you do and it shows in every photo . We can't thank you enough for the very organized and calming way you worked with us the entire day. When I viewed our pictures, I was amazed at how many photos you took without us even realizing you were there. I can't thank you enough for making our special day even more amazing with a lifetime of beautiful photos. :)"
"We just finished looking at the pictures and slide show, you are AMAZING!!!! We are so happy!! You exceeded what we could have ever hoped for and we are truly grateful, thankful, and blown away!! Thank you!!! " We got the wedding photos, thank you so much, you really captured our day. Absolutely phenomenal work! We are so very lucky to have had you as a photographer! Our house is already populated with gorgeous photos from our engagement session, but I think we're going to have to make some room for a few more from the wedding! AWESOME! We wanted to send you a quick note to thank you SO much for the amazing job you did capturing everything that was so special about our whole wedding process. From the engagement pictures in Napa (thanks so much for being such a trooper being crammed in the back of the Cessna!) to the rehearsal dinner and wedding in Sea Ranch - the pictures were absolutely perfect and we couldn't be happier. We can't even begin to tell you how many compliments we have received on them. You were absolutely wonderful to work with and made us feel completely comfortable during the whole process. You truly made the whole experience easy and fun - we just can't speak highly enough about you and your work. Thank you for capturing our memories. " We finally got a chance to look at all of the photos. Thank you so much, I can't express how gorgeous they are! They are some of the most beautiful photos I've seen! You have such a gift for capturing light and scenery, and we will definitely recommend you to anyone looking for a photographer. We are thrilled with the pictures that you took on our wedding day. Your attention to detail and ability to capture all of our special moments has given us pictures we will cherish forever. We got so many compliments on the shots you took down on the beach with the snow capped mountains in the background-we also love the ones you took outside the reception grounds. Thank you for being flexible and easy to work with, I'd recommend you to anyone I knew getting married in the Tahoe area. Just looked at all the the photos! They are absolutely amazing! I absolutely love them! We just cant wait for you to shoot our wedding. We just had a blast with you and cannot express how pleased we are with the photos. " I just wanted to thank you for doing such an amazing job photographing our wedding! I was really nervous going through the process of picking a wedding photographer because photos were one of the most important things to us and I felt so at ease and relieved to have found you from the first time we met with you. Your enthusiasm for photography was very apparent and contagious from that first meeting. You were the only photographer we met with who took the time to explain how you like to take your photos and what equipment you use. (You are also the only photographer I’ve heard of in the area that doesn’t use only flash to light the pictures and the difference in your photos from that alone is amazing!) Mike and I left that initial meeting grinning and couldn’t stop talking about excited we were for our photos, and you didn’t disappoint us at all. I can’t thank you enough for not only taking beautiful pictures of our entire wedding day, but for being so incredibly easy to work with. You kept track of time so well and managed to make sure you got all the pictures we asked for and during the ceremony and reception, you were so unobtrusive. I had no idea where you were half the time, which could also be due to how fast you were running around to catch everything from EVERY angle. The photos were amazing and I don’t even know how we are going to narrow down our favorites for our album. "